6th Annual Therapalooza benefiting The Therapy Place. Music by the Reggie Sullivan Band! Come out for a night of great food, fun and music! 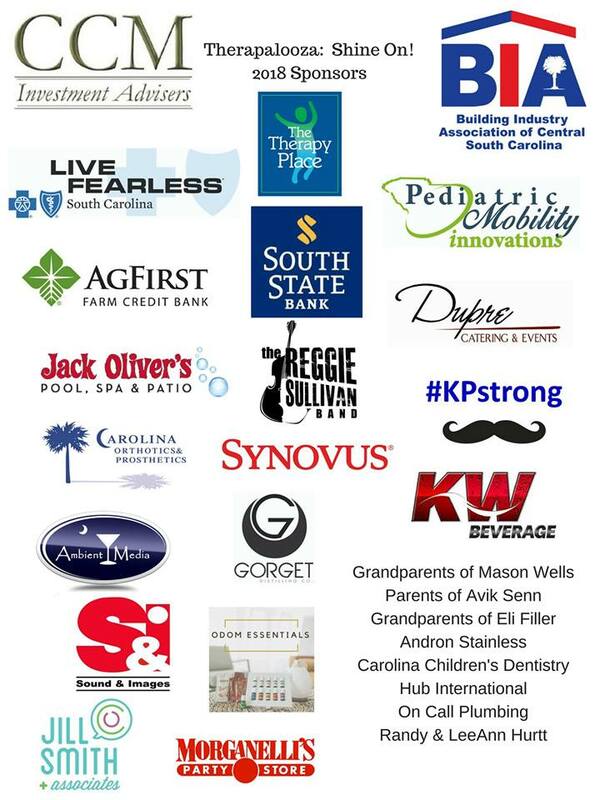 All while helping local children who have therapeutic and developmental challenges reach their full potential! Sponsorships are now available! Contact Dawn Darby or Heather McDonald for more information. Check out last year’s great time! 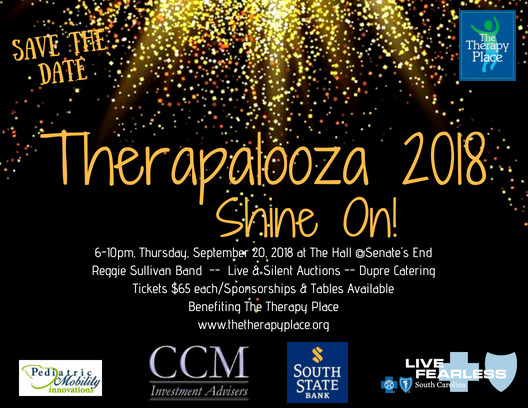 Thanks to our 2019 Therapalooza sponsors for your support!